7175 Super duralumin aluminum Billet for Casting Forging of Airplane, ship, auto parts, structural member. Deformation of 7175 aluminum alloy, the aluminum and aluminum alloy. 7175 aluminum alloy for strength, toughness, resistance to stress corrosion crack resistance are excellent new alloy, is suitable for machining parts. 7175 aluminum alloy used in forging aviation USES high strength structural. 7175 - T736 material with good comprehensive performance, namely, strength, spalling corrosion and stress corrosion cracking resistance, fracture toughness and fatigue strength are high. Large specification :the produced billetφ1320mm is the largest billet in the world. The max : weight of the billet up to 12.5 ton. High purity : low hydrogen, low dross, low alkali content inside the ingot . size difference between core and surface. Q12. Is it the Fumigation carton pallet? Q13. Can we come to China visit factory ? Q20 :How many quantity for 20'GP load ? Q21: How many quantity for 40'GP load? 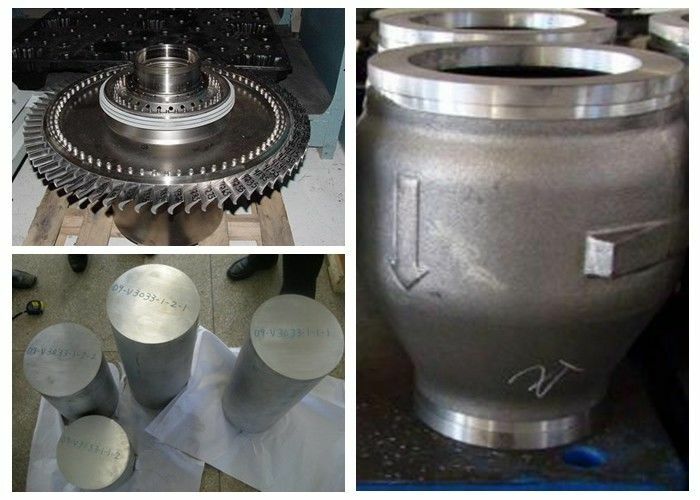 A: In order to offer right quotation, we need know the alloy ,temper,thickness,width,length,application and quantity etc. Q29.How long do you generally keep your offers open ? Aluminium forging alloy & forging product size. Remark:1. Billet peeling is available.